Curry leaf martini? :D How did it taste?? 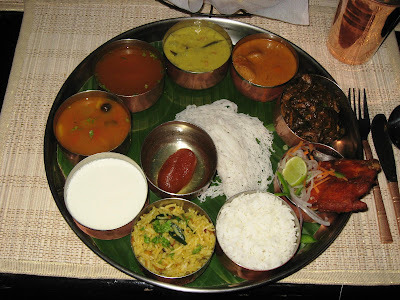 The thaali looks colorful and yummy! @Final_Transit: I was quite impressed by the martini! 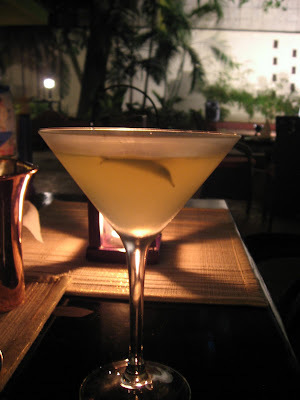 It was a vodka-based martini with an underlying spicy and curry leaf taste that was pretty good. Orlando Vacation Homes for your Disney vacations. Orlando Vacation in a luxury Orlando vacation homes from Easy Choice Property Management. Karuvepilai Martini sounds very interesting. 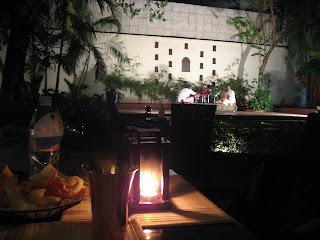 I love Chettinad cuisine...perfect spice for my Andhra palette. Will look this up when I visit Chennai next. Came across your blog and found it very interesting! Could not find your email id on the blog, may i request for your email id please? Wanted to send across an invitation. Curry leave martini - take that James Bond! Curry leave martini - I would love to have it. @harekrishnaji: I am planning a trip to try Soul Curry next week; at least two others have recommended this to me already! @Shalini: Welcome to my blog! Please do, and let me know how it goes. The cocktail with tender coconut, Thengai ootru, sounds great. Would love to try it out someday. @indicaspecies: I didn't try that; but my friend seemed to like it. 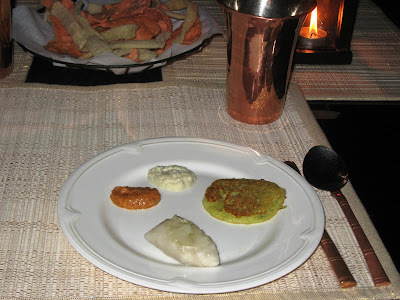 Chettinad women (Achis) wouldn't have cooked or served for you. They seldom do it commercially. 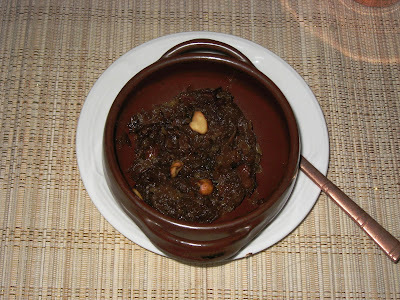 The cooks trained in Chettinad cuisine must have been the ones who would have done the cooking and they don't hail from the community.